We are pleased to announce that our Opti-Coat services by Paint Coatings Indy will now be available in Zionsville, IN if you don't want to travel all the way to Greenwood. Our full suite of detailing services are only available at the Greenwood location, but if you're looking to get Opti-Coat applied on your vehicle, please call to set up appointment at either location! South Location: 494 U.S. 31 N Suite C-Greenwood, IN 46142. One of our friendly, professional, and certified installers can add the Opti-Coat protection of your choice on any vehicle and NOW you have two convenient locations at your service! 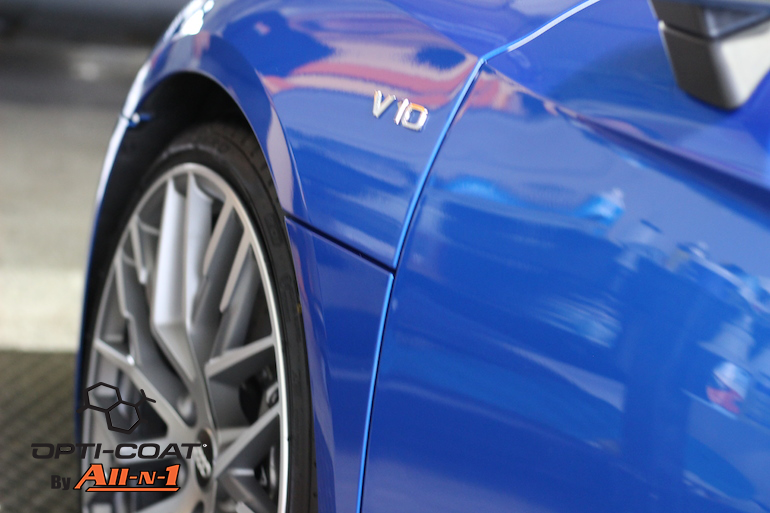 Opti-Coat is a patented bonding process that protects your car's paint job and makes maintenance a snap, increases resale value, and can make any car stand out from the rest. Opti-Coat layering is 100 times thicker than the other leading paint coating products, so that you have unbeatable gloss and extra protection that lasts between 2-7 years with a dazzling mirror-like shine. That's 2-7 years of not having to waste your money or weekends waxing your car. Opti-Gloss Coat: This adds a hard clear coat to your car that lasts up to two years. Opti-Coat Pro: With a longer bonding process and thicker layer than Opti-Gloss, Opti-Coat Pro has a 5-year warranty and a thicker clear coat. It seals more thoroughly than nano-coating and offers long-term protection. Opti-Coat Pro Plus: The premium version of Opti-Coat, Pro Plus has a 7-year warranty and is the best choice for protecting your car for years to come. The absolute thickest state-of-the-art coating, Opti-Coat Pro Plus offers protection from sun damage, chemical exposure, scratching, and fading in addition to ensuring you never have to wax your car ever again. Opti-Coat keeps your car perpetually looking like it's new. 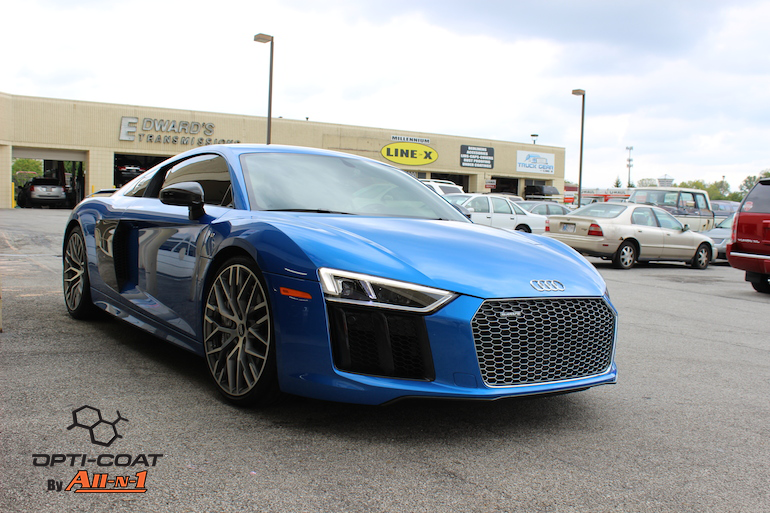 If you're thinking about selling your car in the next year or so, Opti-Coat isn't just detailing to get your car looking nice for potential buyers: it significantly adds to the value and its appearance impresses anyone looking to buy your car. And if you're not thinking about selling your car but need to keep up a glossy appearance, look no further than Paint Coatings Indy by All-N-1 to prevent unsightly scratches, fading, and unevenness. Please call us to set up an appointment and add years to your car's life!